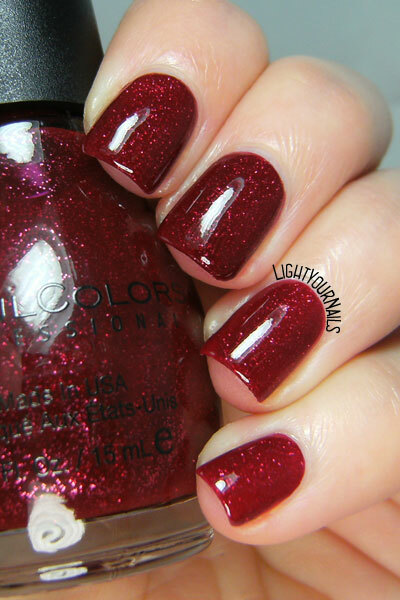 Sinful Colors Ruby Glisten | Light Your Nails! E' proprio bello per colore e finitura... però immagino che lavoraccio per stenderlo e renderlo così lucido e perfetto! Naaa, il lucido è semplice top coat :) Le tre passate sono state semplici, ho solo dovuto aspettare qualche minuto tra una e l'altra. I also get Christmas vibes from this polish. It's lovely, but shame it chipped so quickly! Quelli che ho arrivano tutti da OVS, questo l'ho preso quest'estate quando c'era il 3x2 sul make-up! Tutte le volte che passo davanti alla torretta degli smalti SC ci butto un occhio, ogni tanto trovo qualche chicca! Ooh, I like this! 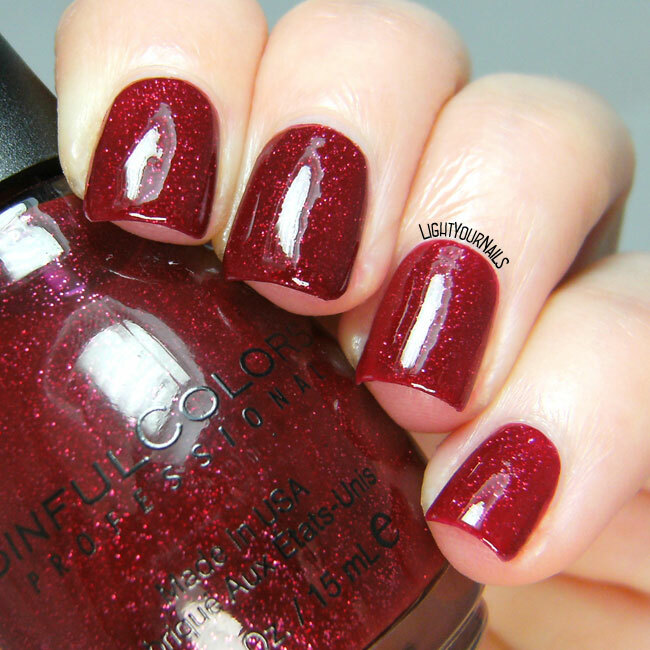 I haven't bought a Sinful polish in ages, but I want this one! Wow! This color is beautiful. Oh, this is gorgeous. I think I need this one! It's a pretty one Kerry! Ohh, that is so pretty!! It's perfect for Christmas! I absolutely love this Sinful shade. Wish I had it. It looks so fab with the Catrice topcoat - so shiny! This is so simple but stunning! Awwww ChG Emerald Sparkle is also super festive! Great choices!